Earlier today, all the cryptocurrencies shined bright in the market after several days of bloodbath. This included all the top cryptocurrencies such as Bitcoin [BTC], Ethereum [ETH], XRP, Tron [TRX], Monero [XMR], and Litecoin [LTC]. 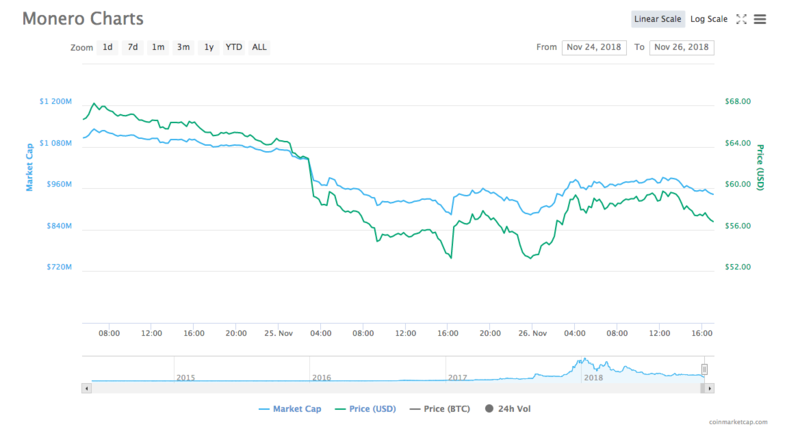 Additionally, most of the coin rose by double-digits in the past 24 hours. Nonetheless, the prices have depleted since then. 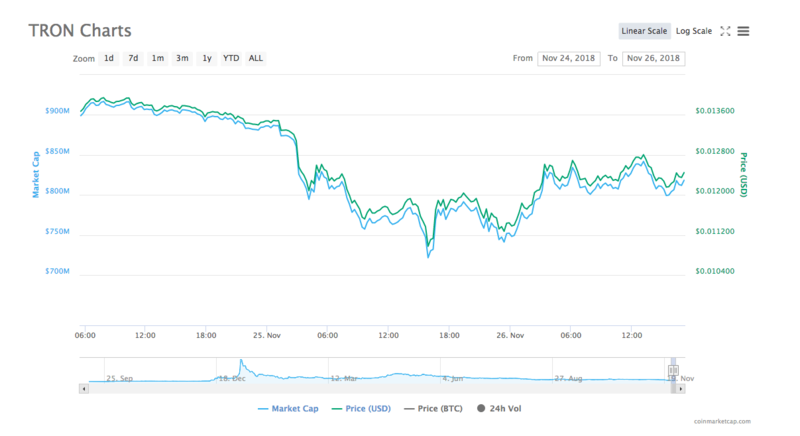 Bitcoin [BTC], the biggest cryptocurrency by market cap, has gone back to trading below $4,000. The coin spiked to almost $4,120 on Coinbase before tumbling down again. On Coinbase, at press time, Bitcoin was trading at $3,950 and at a premium price of $4,075 on Bitfinex. According to CoinMarketCap, the cryptocurrency has a market cap of $69.07 billion and a trading volume of $6.45 billion. The coin surged by 5.89% in the past 24 hours and is still painted red by 25.22% in the past seven days. The highest trade volume for the coin was recorded on BitMEX, the biggest Bitcoin mercantile exchange in the US, wherein it is trading at $3,941.50 with BTC/USD pair. The second biggest exchange is Binance, the biggest cryptocurrency exchange in terms of trade volume, where the cryptocurrency is trading at $3,990 with BTC/ USDT pair. Monero [XMR], the tenth-biggest cryptocurrency, also witnessed a significant rise in the market today. The popular privacy coin has seen a surge of more than 2% in the past 24 hours. The coin is valued at $57.11, with a market cap of $946.94 million. 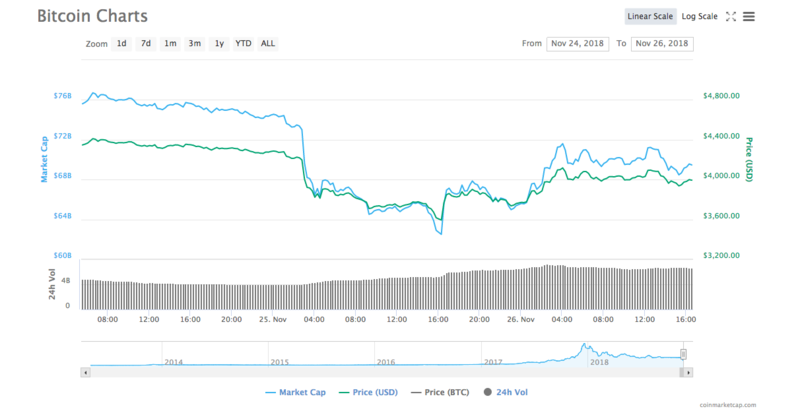 The coin has a trading volume of $20.59 million and has plunged 28.79% in the past seven days. A majority of the trading volume was pouring in from Bithumb, a top cryptocurrency exchange in Korea, with XMR/ KRW trading pairs. This is followed by Binance, with XMR/ BTC pair. Tron [TRX], the eleventh-biggest cryptocurrency in the market, which has its goal set at surpassing Ethereum [ETH] and Bitcoin [BTC], also saw a surge in its price. The coin is trading at $0.012 with a market cap of $810.87 million. The coin has a trading volume of $73.15 million and has surged by 7.31% in the past 24 hours. The trade volume was at its highest on Binance with TRX/ USDT trade pairs. The second-highest was recorded on BitForex with TRX/ USDT trade pairs. The post Bitcoin [BTC], Monero [XMR] and Tron [TRX] try to rise after massive dive into the bear’s pit appeared first on AMBCrypto.